Is the Canon G9 X good for Landscape Photography? 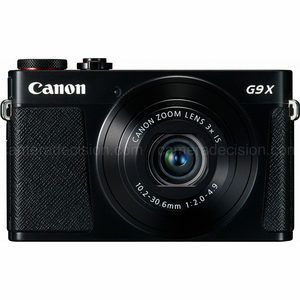 Canon G9 X has a score of 54 for Landscape Photography which makes it an AVERAGE candidate for this type of photography. If Landscape Photography is important for you, we recommend you to check the Alternative cameras at the bottom of this page. Canon G9 X's 20.0MP sensor is perfect for landscape photography. It will capture a lot of fine details and let you print them larger. Canon G9 X's 1″ (13.2 x 8.8 mm) sensor size doesn't provide image quality of larger sensors but it is still much better then compacts with typical small sensors.